Rep. Dana Rohrabacher, R-Calif., claims he learned first-hand about Russian President Vladimir Putin's "tough guy" demeanor back in the 1990s when he lost a drunken arm-wrestling match to the Russian leader. In an radio interview Thursday with 89.3 KPCC in California, Rohrabacher recalled meeting a group of young Russian leaders in Washington, D.C. in the 1990's -- including Putin, who was then deputy mayor of St. Petersburg. The congressman said the Russians wanted to meet him since he had served as a speechwriter for President Reagan, so he arranged a football game with the Russians and several of his "right-wing friends." 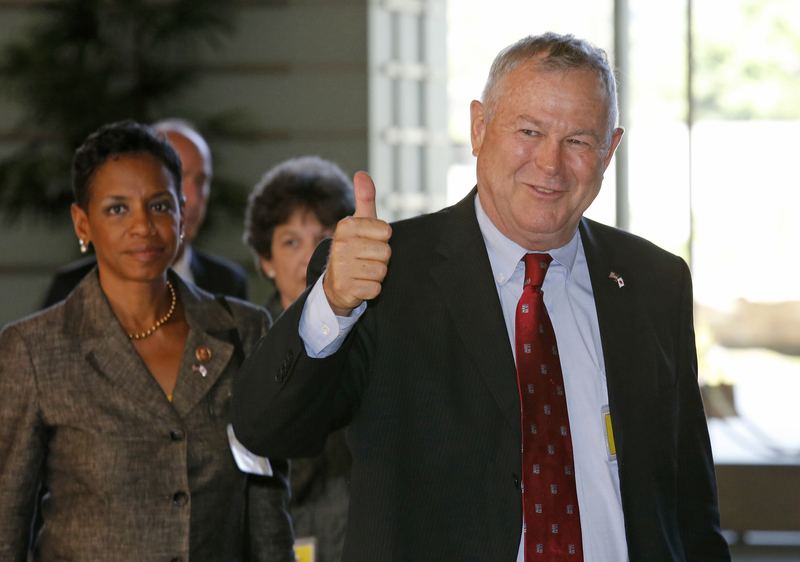 "We all ended up going to the Irish Times pub afterwards, and we were having a little bit too much to drink, I guess," Rohrabacher said. "Anyway, we started arguing about who won the Cold War, etc. And so we decided to settle it like men do when they've had a little bit too much to drink at the pub. So we got down to these arm-wrestling matches." The congressman said he was paired with Putin. "He's a little guy, but boy, I'll tell ya: He put me down in a millisecond. He is tough, his muscles are just unbelievable." Rohrabacher said Putin's "tough guy" demeanor is "no reason we shouldn't try to work with him" on a dealfor Syria to relinquish its chemical weapons.